Figure 11-7.--Point-to-point angles and arcs. Figure 11-6.--A typical CNC controller. Figure 11-8.--Continuous-path angles and arcs. possible, but not arcs or angles other than 45 degrees. 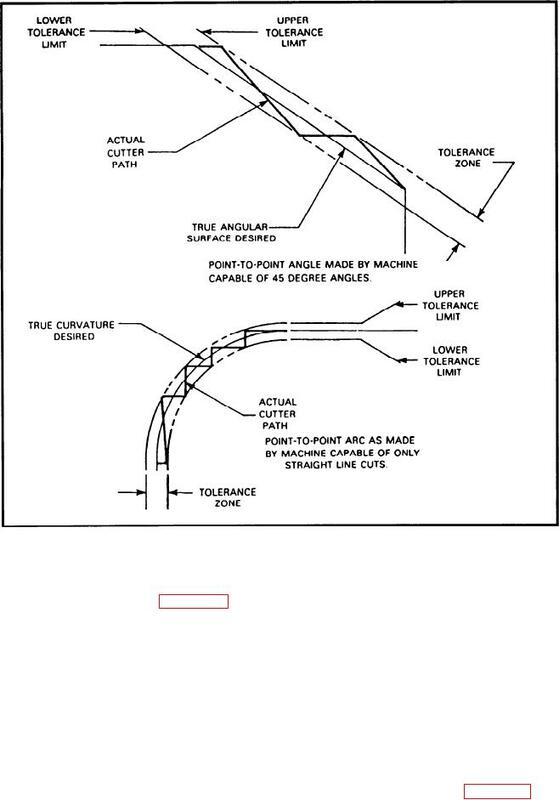 straight line cuts, as shown in figure 11-7.